Oh how I love all things coconut! This beer is no exception. 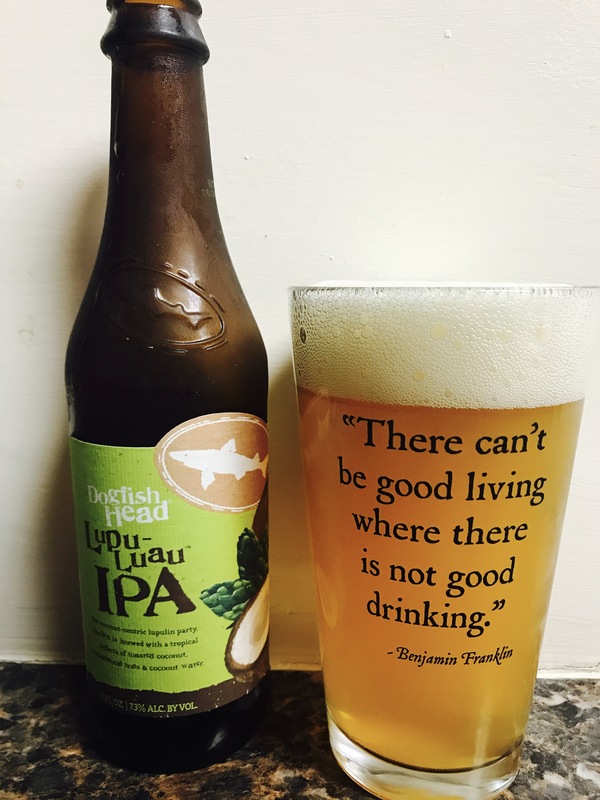 Dogfish head brewery Milton, De scores high marks from me for their unique twist on an IPA. The color is very bright and almost highlight yellow, the smell is typical IPA with a little coconut in there and the taste..so subtly good! Coconut and a hint of pineapple with the normal “hoppy” IPA taste. This very light, breezy, tasty beer comes with a 7.3% alc content which is always nice. 4 stars, well done!